Alexander Rose Portofino Tea for Two Folding Set: The Portofino Tea for Two Folding Set by Alexander Rose is a low maintenance and practical set perfect for smaller gardens or patio areas. The Alexander Rose Folding Set can easily be moved around the garden with its lightweight design and can fold away for easy storage when not needed. 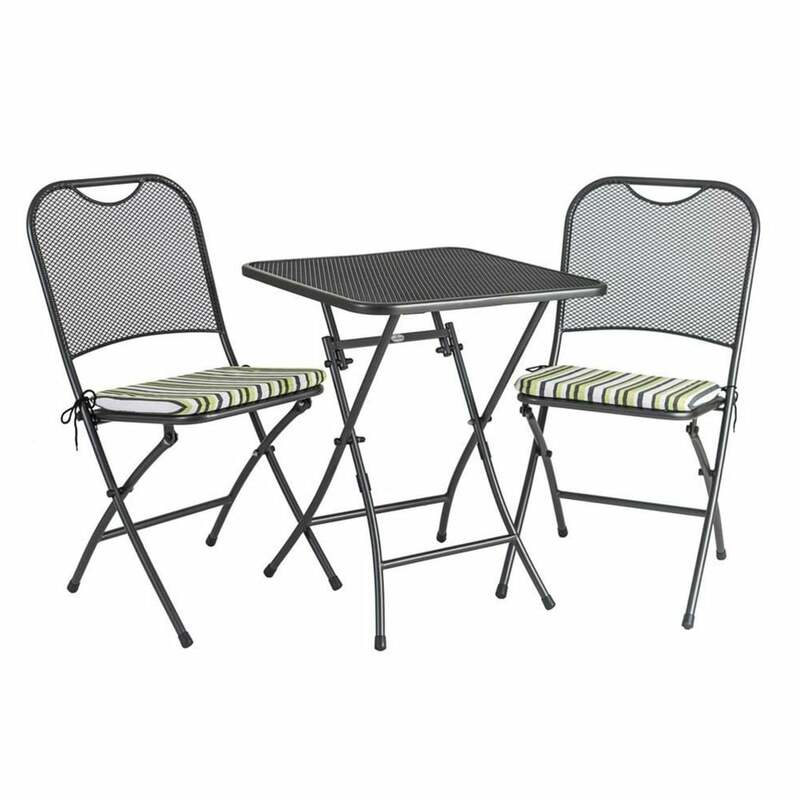 The Portofino Folding Set is made from fine powder coated, tubular steel and wire mesh in an attractive metallic grey colour. The Alexander Rose Tea for Two Set includes two seat cushions for added comfort in a choice of grey or lime stripe.